Connect Consciousness - Viktória G Duda, Ph.D.
Would you like to participate in a leading-edge experiment about the nature of consciousness? The experiment is simple, but might forever change the way we look at ourselves and the connections we are sharing with others. Currently, we are used to think of ourselves as strictly individual consciousnesses, with clear boundaries where 'I' stop and where "you" begin. If I have a thought in my head, that is "my" thought, if you have a thought in your head, that is "your" thought. My brain is my "computer," your brain is your "computer." As safe and simple as this might sound, a number of recent experiments suggest that the world of consciousness may not be that simple. Experiences with mutual dreaming, shared hypnotic states, psychedelics and even between humans and animals, suggest that we do pick up on each others thoughts and feelings. Is our consciousness really separated from all the others? 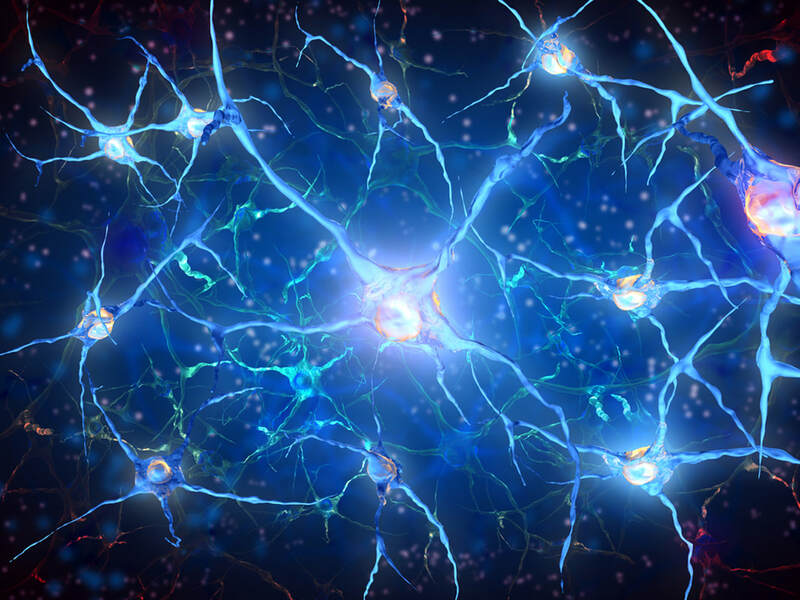 Or are we connected like nerve cells in a neurological network? We will work in pairs, with people who have not met each other before. Sitting facing each other, as a preliminary we induce a light trance. (In other words that is a state of focused relaxation, in which you still have awareness of your environment and remain in full control, but you are more open to subtle perception.) Then for about 20-30 min the participants gently glace into each other's eyes, trying to get as many impressions as possible about the other person's life, feelings and even possible karmic bonds. After that, each participant goes to separate rooms and writes down their impressions. Notes then will be swapped and discussed. Such experience can be very intense and potentially disturbing (in a groovy, reality-bending sort of way). Please consider participating if you are eager to have an adventure into consciousness. to participate, please fill out the form below, and we will get back to you. First, we will set up an informal consultation session with you, so you don't need to commit before that. I'm a regular spiritual practitioner On and off I practice something Had some interesting peek experiences Not yet, but open to it. W​e look people in the eyes every day, but when was the last time you looked in somebody’s eyes for more minutes without saying a word? It can be with your partner, your friends, your parents or either a complete stranger, who you feel connected to? How did it feel? How come that we do it so rarely when almost everybody feels more connected and peaceful with themselves and others afterwards? A quality eye contact is an amazing experience; you allow the other access to your inner world through your eyes. There is not much you can hide but and therefore so much you can gain. In our culture we aren’t used to looking in somebody’s eyes for more minutes without filling the silence with words or other side activities. If we are eye-gazing it’s often related to either a provocation, a physical attraction or out of a starring competition. Hardly is it used for the mere purpose of seeing ourselves through the mirror of the other person. What gets more and more forgotten in our “civilized” world is still a basic wisdom in other so-called “primitive” cultures: in somebody’s eyes a whole other world of connection can be discovered. Let’s increase that emphatic connection in our human family! Almost every time there is a healing power that lies in the “simple” action of opening our eyes for each other. Not rarely something profoundly meaningful happens within and between us when we get brave enough to see and be seen without evaluation of the other through the mind. It’s an art of communication and connection that is so essential yet often so neglected. What we learned to call communication actually often turns out to be two monologues without really meeting the other, because nobody really listens. We communicate past each other without a real connection. Communication with eyes help us to re-learn how much information and feelings can be shared naturally and without the habit to employ our mind. It’s a deeply touching experience that reminds us to ‘re-member’ to the basic need of ours of showing each other what’s alive in us. In the end don’t we all want to be seen as who we deeply are? Daniel was born in Germany and early on traveled the world to find out more about the colorful nature of humans. Through an extended self-study in psychology, philosophy and sociology in Hungary, he works in his deep passion: Through counseling he assists people to find their inner compass in order to live a more fulfilled, peaceful and authentic life. Viktoria was born in Hungary and partially raised in Germany, studied law, cultural anthropology and hypnotherapy in Vienna, Dublin and London. She is a hypnotherapist and a consciousness researcher, who has conducted a number of studies into the leading-edge frontiers of consciousness, most extensively into past lives and spiritual memories.